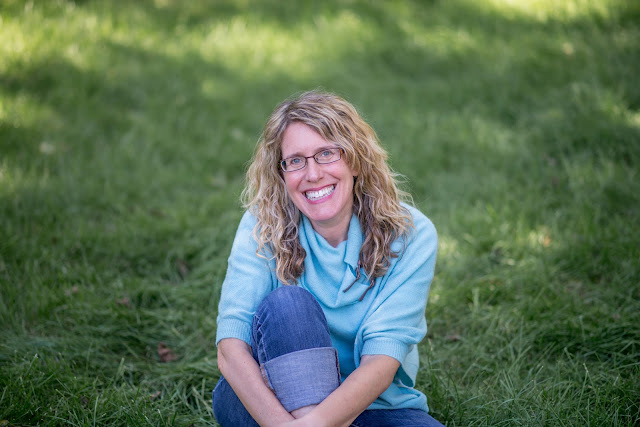 Thank you for having me on Kidlit 411! I’m a huge fan! I live in Washington, DC with my husband, our hilarious 9 year old son, and a very pesky cat. Before writing for children, I was the president and founder of Civic Action Strategies, a grassroots organizing and democracy development consulting firm. Before that, I had lots of amazing jobs in my career, including working for two years in Kosovo where I directed citizen engagement programs for U.S. and European organizations. I’m also a lawyer and former Congressional lobbyist for civil rights and civil liberties. I began writing for children when my son was young and I wanted to memorialize stories for him of our time together. Children’s literature is a very different path from my previous career(s), and I’m completely in love with it! Congratulations on THIS IS NOT A NORMAL ANIMAL BOOK. Tell us about it and what inspired you. Thank you so much! THIS IS NOT A NORMAL ANIMAL BOOK begins as a stroll through the common, every day, normal animals – mammal, bird, amphibian, insect, reptile, and fish. The story quickly evolves, however, into a meta-fiction disagreement between the author and illustrator over how to draw the animals. The author wants simple, normal animal drawings. The illustrator, however, is confused and makes a bit of a mess. The conflict between the author and the illustrator reaches its peak when the illustrator refuses to draw the author’s choice of fish. Granted, the blobfish is an unusual choice of fish. The inspiration for the book came in November 2013 during Tara Lazar’s Picture Book Idea Month (now StoryStorm — which I highly recommend!). One night, while reading a bedtime story to my son that included Yiddish vocabulary, I had the idea to write a story about a Yiddish proverb because I think Yiddish proverbs are the perfect combination of hilarious and profound. My father’s parents spoke Yiddish, and I have fond memories of my grandfather teaching me to swear in Yiddish while my grandmother yelled at him to stop corrupting me. When I researched Yiddish proverbs, I came across the proverb, “If the cat laid and egg, it would be a hen.” (It loosely means, you can’t wish for something to be different from what it is because wishing won’t make it so.) The proverb inspired more words about animals and ultimately a meta-fiction author-illustrator conflict story spilled out. Speaking of the book’s meta relationship between the author and illustrator, in real life, did you have contact with, or were you able to provide input on the illustrations in the book? Brian and I did have one brief conversation together with our editor about 2 years into the process to make sure we were all on the same page for the direction of the book. That call resulted in me doing a revision to smooth the page turns between the different animals. Other than that, Brian and I did not work together on the book at all in the 3 1/2 years between when I sold it and when it hit the shelves. But I’m happy it reads like we did! 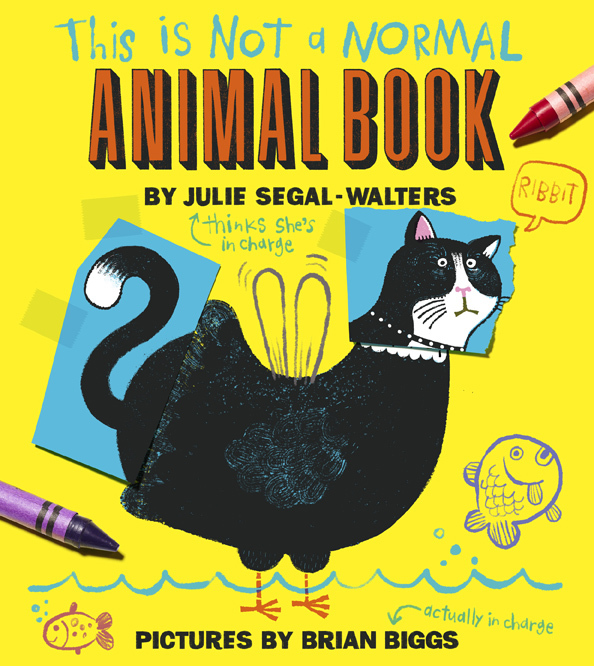 In some ways, my road to publication of THIS IS NOT A NORMAL ANIMAL BOOK was short and sweet because I wrote and sold the manuscript in 5 months. That said, once I sold the book, I waited 3 1/2 years for the book to be published! That’s a really long time! Also, while my road to publication of my debut book was relatively easy, I’ve had to slog ever since to write and to sell more stories, so I consider my overall road to publication long and windy since there are never any shortcuts. Right now I have 3 picture book manuscripts that are ready for submission (I think), and I’m about to start querying agents with those stories. Two are funny fiction stories, and one is a narrative nonfiction biography. I’m also writing a contemporary middle grade novel that is my heart, so that’s where I’m focusing my creative energy this winter. 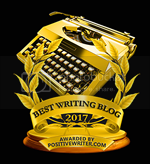 The hardest part of writing for me is sitting at my computer and creating or revising alone. Unlike many authors, I’m an extrovert and I would prefer to verbally process my ideas rather than stare at a screen without any input or collaboration. Also, I like deadlines, so writing without an external deadline is more difficult for me. As for the easiest part of writing? There is no easiest part. Except maybe ideas. I love coming up with ambitious ideas! My advice to aspiring authors is not to be an aspiring author. Instead, be an aspiring WRITER. 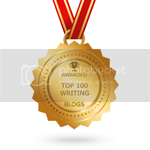 I think many people who love to write get bogged down in the desire to publish their writing. The result, in my experience, is that the writing gets hobbled by the business side of publishing, and the creativity and craft ultimately suffer. I think people who want to write should take themselves seriously as writers. They should read tons of books in the genre they want to write, join critique groups, study craft, and write as much as possible. To me, taking oneself seriously as a writer does not require diverting time and energy to trying to get that writing published. In other words, when just starting out, I think people should focus only on writing and save the publication ambition for later. I wish I had taken this advice. I’m all over the place online! My website is www.juliesegalwalters.com, and I’m active on Twitter at @j_s_dub, and Instagram at @juliesegalwalters. I love making Kidlit friends online so come say hi! Thanks for sharing your journey! I'm so excited for you and the success of this book! Five months!!! Wow!!!! Can't wait to read it. Congratulations on your book! Thank you for sharing your experience! Thanks for the interview! I look forward to checking this book out! This sounds like a fun book! Can't wait to read it! Congratulations! I so agree that there's no "easiest" part of writing! But it's wonderful how skilled authors make a difficult task look easy. Thanks for sharing the background of your book. This looks like a really fun book--and 3.5 year wait, wow! I guess we have to be patient in this business :-) Congrats on the book! This sounds like a great premise--and a long journey to publication. But well worth the wait! I love this book! Thanks for sharing a little about how it came about. Thanks for sharing! It's always interesting to hear the story behind the story. Looks like a fantastic book - I love metafiction! Thanks so much for sharing. Great post, Julie! You have such an interesting background. I'm so excited about your book! Thank you! Your book looks amazing! I look forward to reading it and reviewing it for my blog! Thanks for the encouraging advice for aspiring writers as well. What a fun backstory! Thanks for sharing. The book sounds really funny! Congrats! I love the concept of a meta-argument. Thanks for the great interview Julie! I appreciate hearing how your book came to be. I am Storystorming right now! Appreciate the advice to focus on writing and develop before getting caught up in publishing. Thanks Julie! I always love hearing about a Story Storm idea that results in a great manuscript like this. I love the premise of this book. Kids will love it. Animals are irresistible. Storystorm is fertile ground for great ideas that morph into published gems. Julie, I love the way you used the Yiddish proverb as the basis for your picture book story! Love this! I also have a draft of a "meta" picture book I've been struggling with, so it was very helpful to read about your process. Thanks, Julie! Loved reading about all the different career paths in your life and how writing a picture book became one of them! Look forward to reading your first book! Julie, meta books are loved by children of all ages. It sounds like you came up with a standout idea about the author and the illustrator disagreeing and it causing such confusion. Also, thank you for sharing about your journey to get another manuscript published and how difficult it can be. Your book sounds fun and I look forward to reading it! And Yiddish proverbs are great inspiration! Great post! Can't wait to read this book. Good luck on your others in the works! Congrats Julie! Can't wait to check out the book. I love the title! Sounds like a fun book, congratulations! I have a meta fiction between author and illustrator manuscript. Your post inspired me! Even though I wonder if I'm writing to a saturated market, I think I can pull off a unique concept, and really the journey is worth the work.